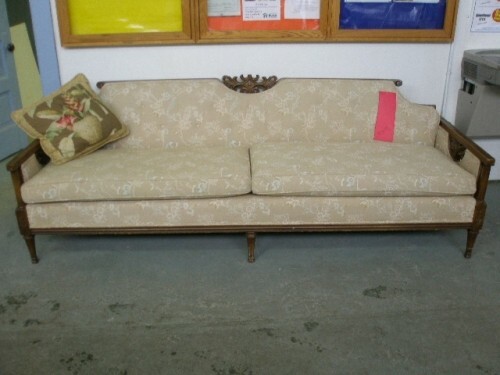 Gorgeous vintage sofa with ornate carving details. Please keep in mind that items are sold as is and all sales are final. Our inventory changes daily. All proceeds support Habitat for Humanity's efforts to eliminate substandard housing and build homes, build hope, and build communities. We are located at 2110 West 110th Street, Cleveland. Donations are accepted Tuesday-Saturday, 8:30am-3:30pm. Please call (216) 429-1299 for more information.